This is a rather eclectic picture as far as technique. Pencil drawing, ink, watercolor, more ink, more water, and so on. Paper is Arches cold press 140#, 9×12 inches. I thought I would use a better quality paper this morning because I knew I would be using a lot of water. It paid off. 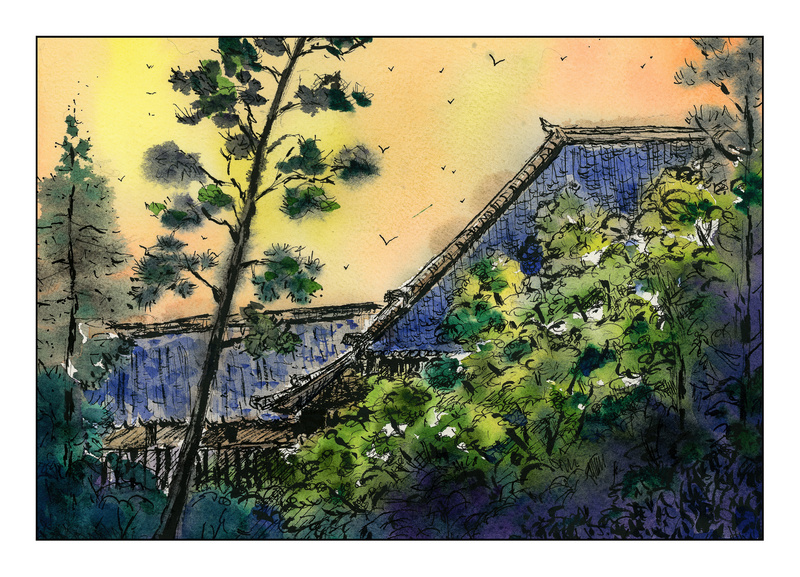 A picture of a Japanese temple was the inspiration for this mish-mash, as well as the fact I felt like drawing more than anything else.